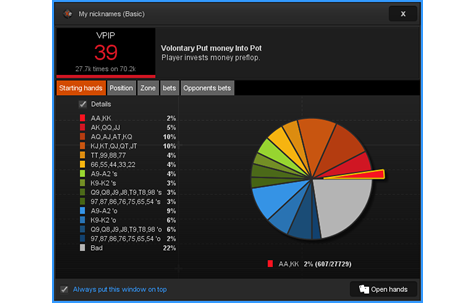 Each statistic is clearly presented and explained : abbreviation, value, description and simple color that represents the player's strength or weakness for this statistic. 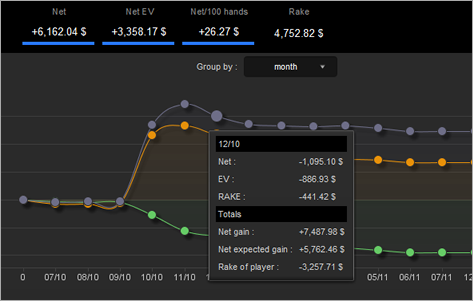 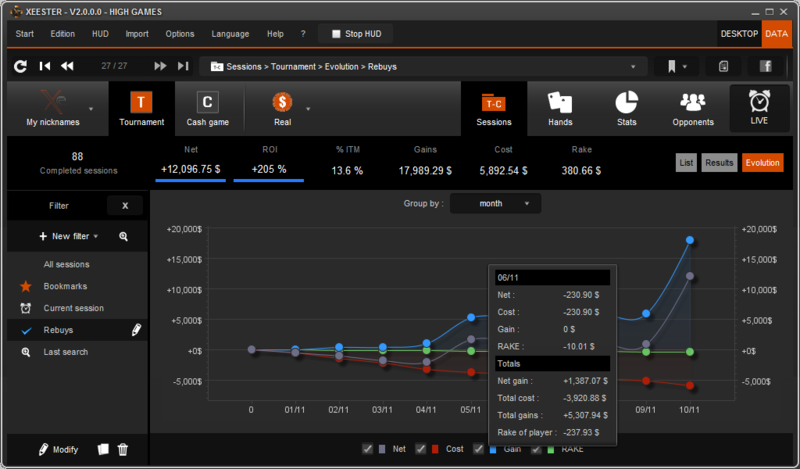 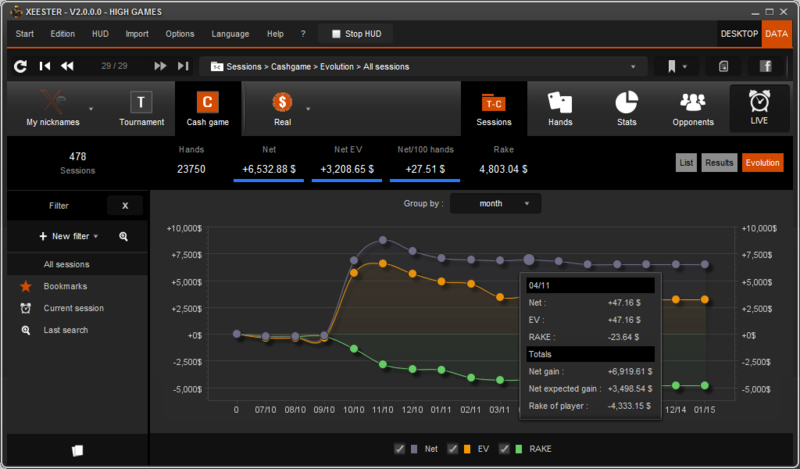 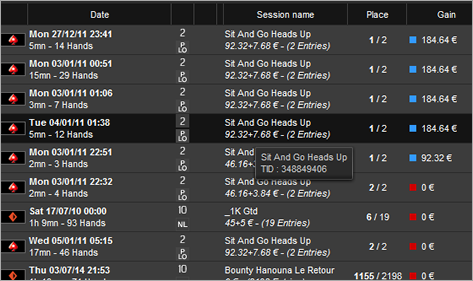 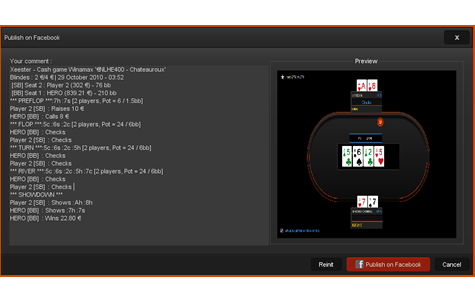 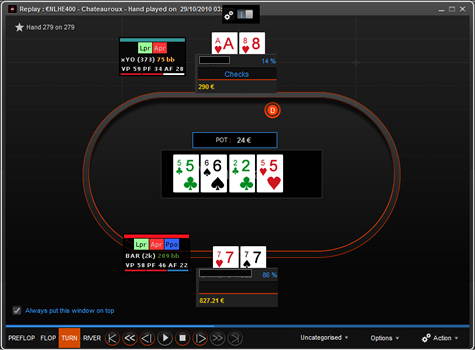 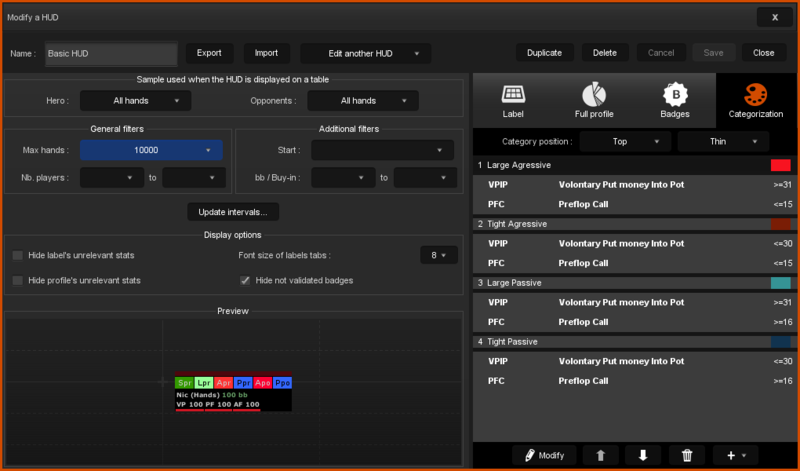 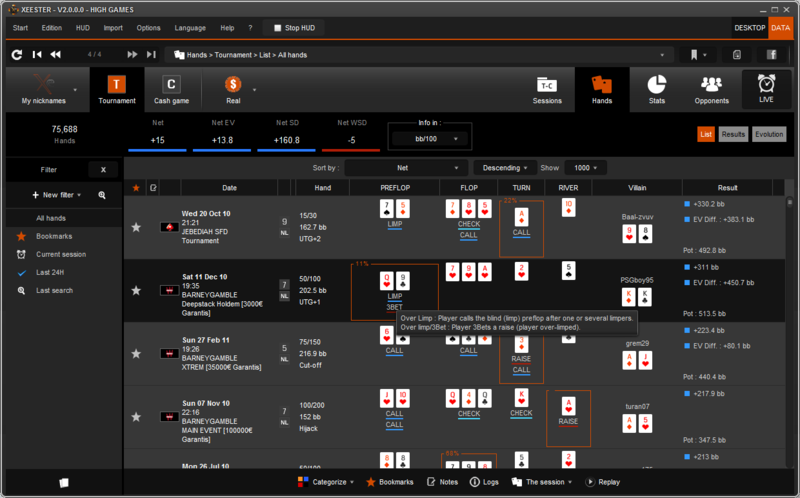 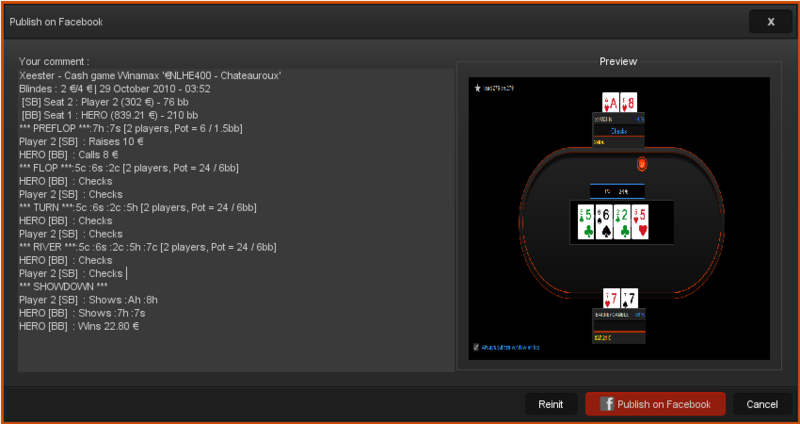 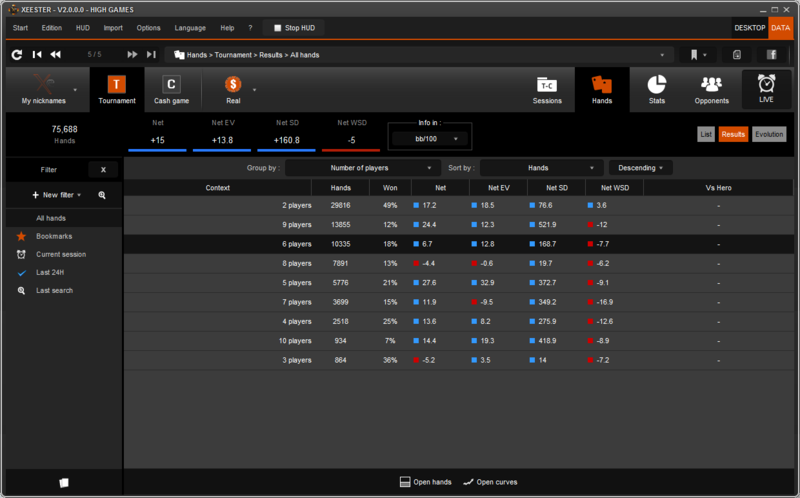 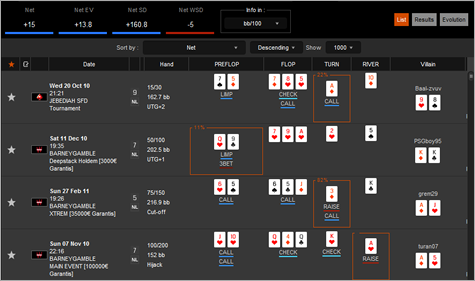 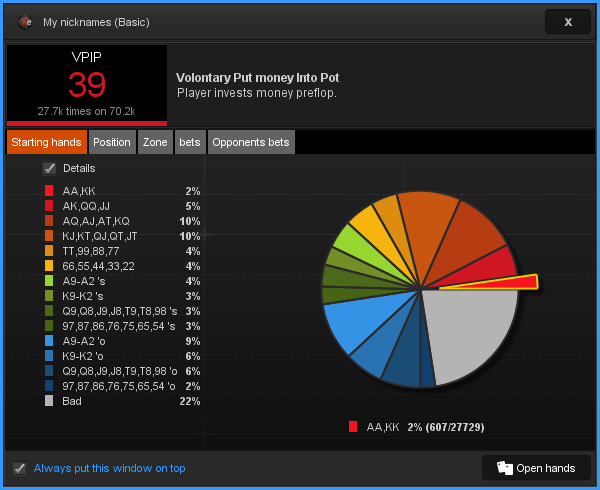 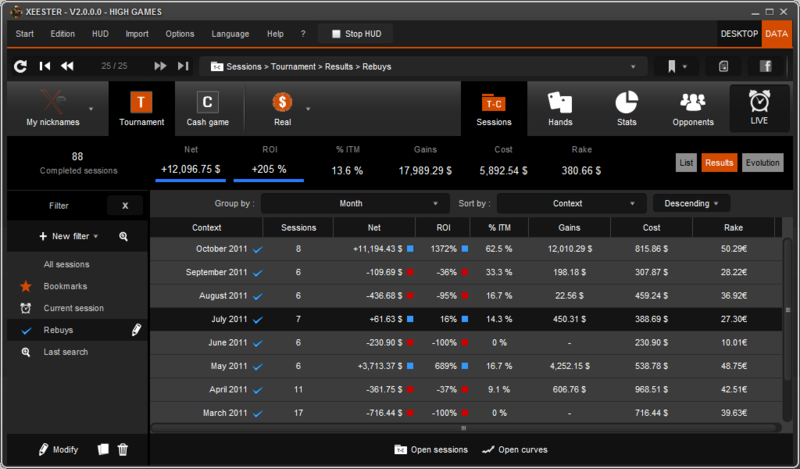 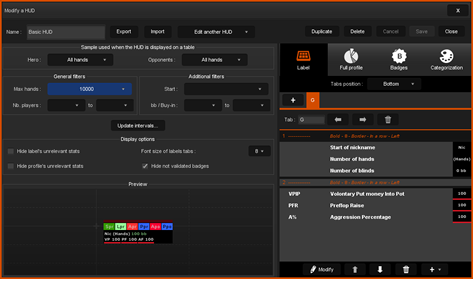 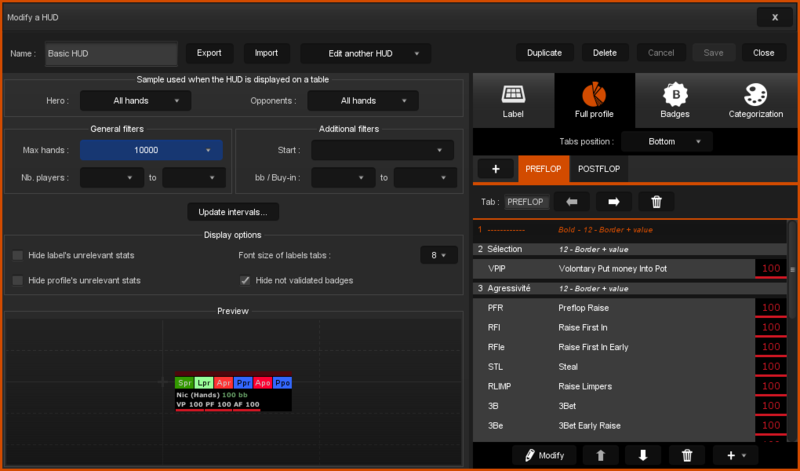 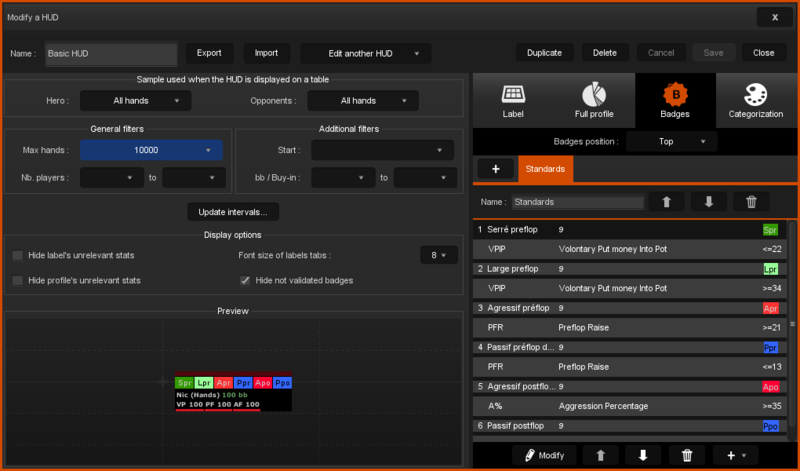 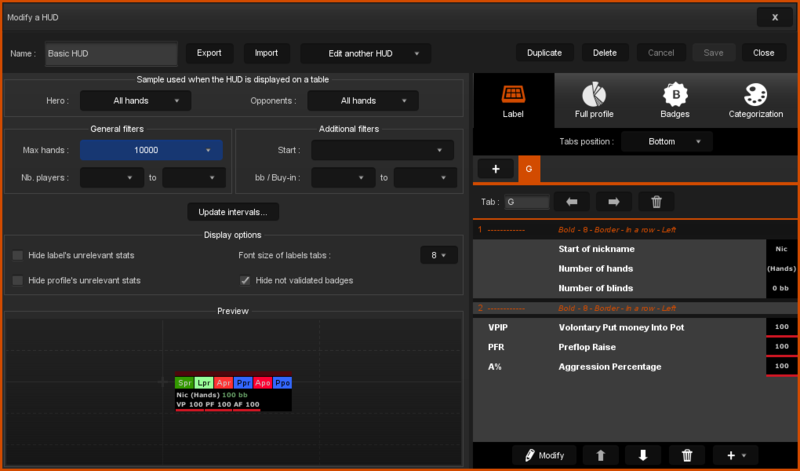 5 analysis axes are available : starting hands, positions, zones, bets and opponents bets. 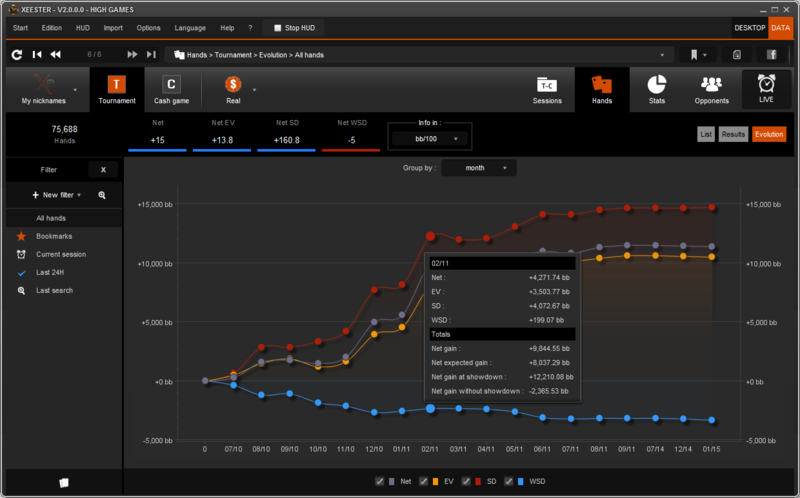 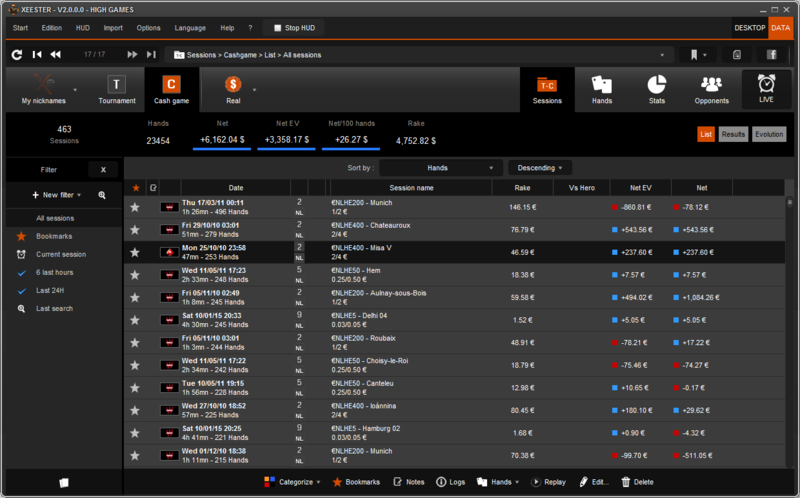 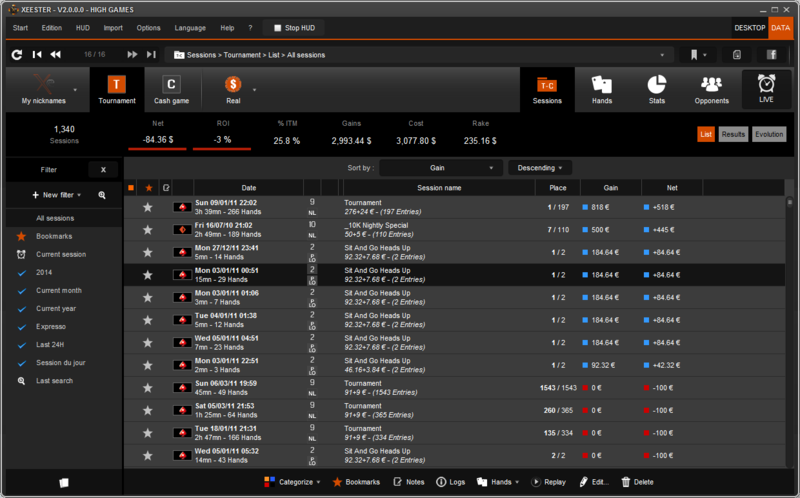 Each analysis axis allows to quickly identify the statistic's key points.